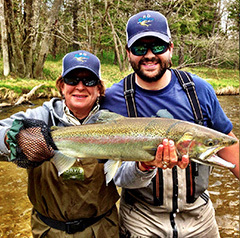 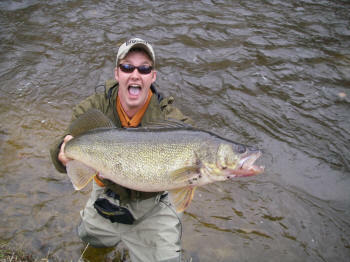 Located in the heart of Lake County – a boundless four-season playground covered by over 200,000 acres of Manistee National Forest and boasting over 100 inland lakes, countless streams and rivers, and miles of trails – the Pere Marquette River Lodge is your headquarters for year-round Northern Michigan exploration. 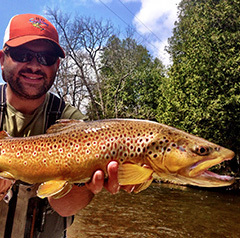 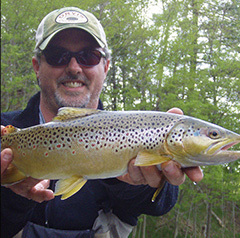 Our 14-acre complex claims 750 ft. of prime frontage on the famous Flies Only No Kill section of the Pere Marquette River – the longest un-dammed trout stream in Michigan, a National Scenic River and one of the first bodies of water in America to be stocked with brown trout. 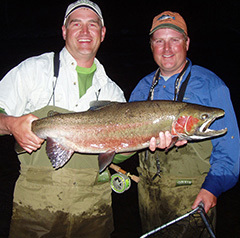 We offer a variety of lodging options, from cozy rooms in the main lodge to charming cabins and full houses for large groups. 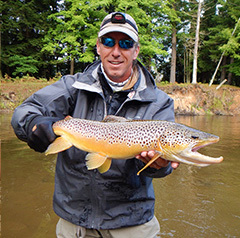 We are an Orvis-endorsed outfitter and a 2015 endorsed outfitter of the year finalist. 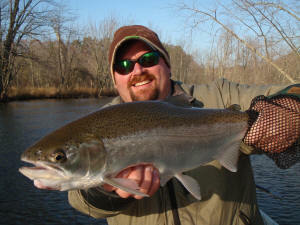 Our fly shop carries everything you will need for your time on the water. 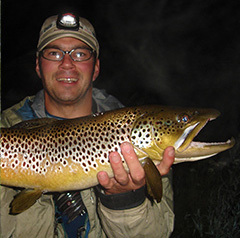 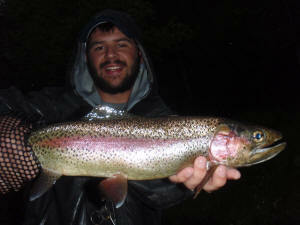 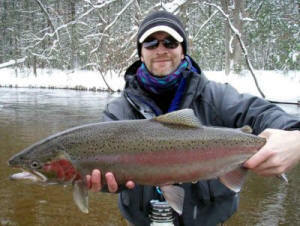 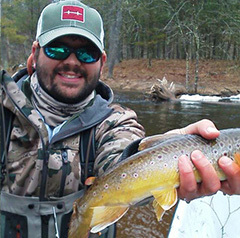 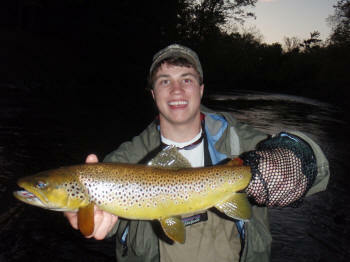 Our guides are experts at ensuring you have the best possible fishing experience.